Royal Caribbean let the kids run loose on Independence of the Seas – with no adults allowed! Would you let your ten-year-old loose on a multi-billion-dollar ship without any adult supervision? No, of course you wouldn’t, but this is exactly what the brave folk over at Royal Caribbean did when they enlisted the help of 100 children to give the newly refitted Independence of the Seas a test run. Managing Director, Royal Caribbean International UK and Ireland, Ben Bouldin said: “We’ve invested tens of millions of pounds in Independence of the Seas with the aim of creating the ultimate family ship. 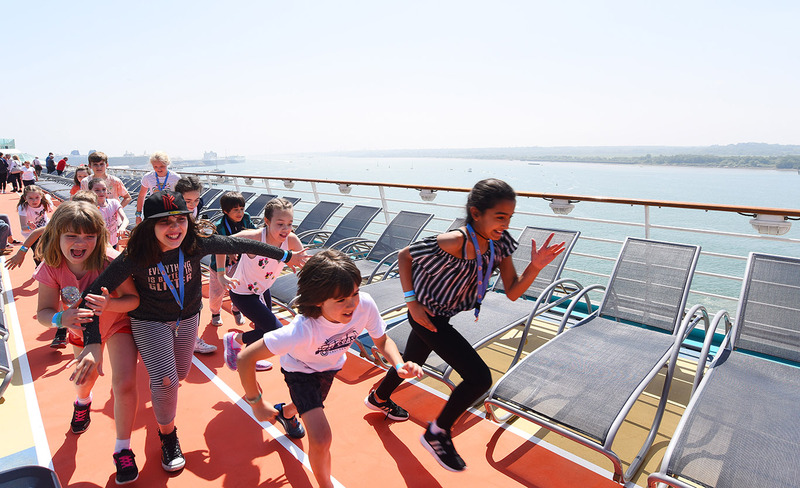 As the next generation of cruise-goers, our 100 children are among the first to experience her extraordinary new features – some of which couldn’t have even been imagined when they were born ten years ago. So, what did the little tykes get up to? Well, Royal Caribbean shared with us a video below which provides just a glimpse into the madness that no doubt unfolded, but it is safe-to-say there are few ships at sea that can offer the amount of fun to be found on Royal Caribbean.